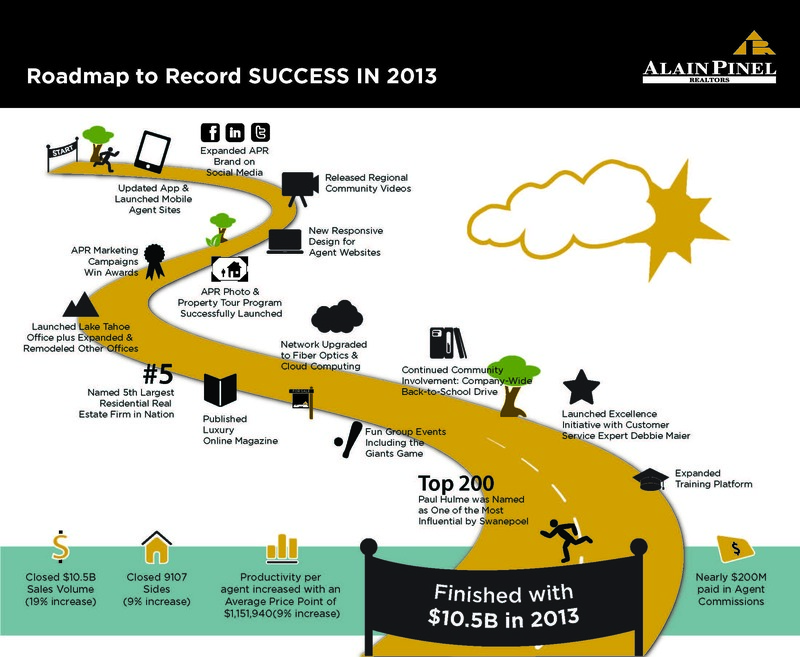 At Alain Pinel Realtors, with $10.5 billion in closed sales volume and an average price point of over $1.15M, we saw our agent productivity soar in 2013. While price points were up and inventory was down, APR still increased our total units and outperformed our competitors collectively in the Bay Area market by 14% overall. These successes can be attributed to our combined efforts. As a team we have accomplished great feats including being named the 5th largest residential real estate firm in the nation based on 2012 closed sales volume. This road to success has been populated with many smaller successes along the way. We started the year off with the Innovation Expo focusing on the importance of mobile, social, video, photos and online in real estate today. We launched the APR Photo & Property Tour Program with TourFactory improving the way we visually market our properties online. Next, we launched new agent websites based on responsive design and gave APR PowerConnect listing alerts to all agents allowing us to stay connected with our clients across multiple devices. We have continued to demonstrate local market expertise with regional community videos and the genesis of our Exquisite Living Online Magazine highlighting luxury properties, feature articles and local market statistics on a quarterly basis. Our marketing materials continue to prove their effectiveness year after year as we continue to win international marketing and branding awards. From marketing to technology, we know that we need to stay on the forefront in order to be successful long term. Since upgrading our network to the most cutting-edge technology available, we now have a fiber optic cloud computing infrastructure in place, allowing us to provide fast reliable access to all of our tolls, 24/7. Perhaps most importantly, we as a group, recommitted ourselves to the pursuit of excellence and customer service prowess. This ongoing initiative provides us a customer service lens from which to approach our business. This paradigm continues to set us apart from our competition. 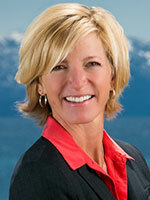 Lastly, we know that real estate is not all about business; it is also about community, relationships and having fun. We individually and collectively gave back to our local communities through charitable initiatives like our companywide Back-to-School Drive. All of this success has allowed us to flourish and grow as an organization, illustrated by our expansion into the Lake Tahoe region. We are now 32 offices and 1400 agents – we are Alain Pinel Realtors – and together we are looking forward to continued success in 2014. Read more about our record breaking year.